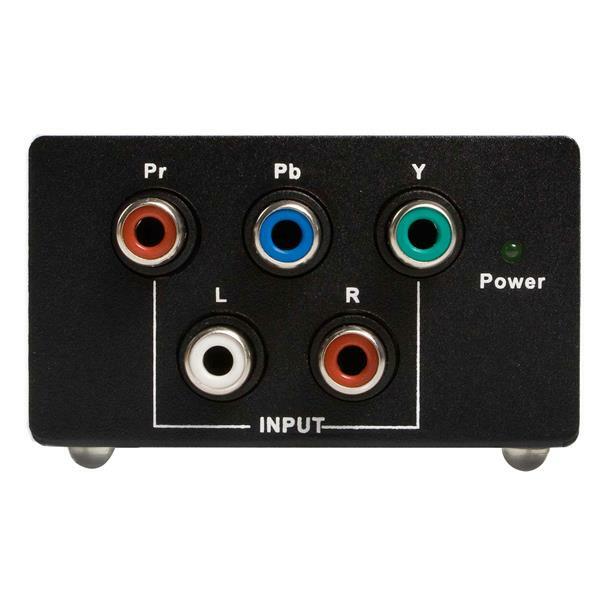 The CPNT2VGAA Component to VGA Video Converter with Audio lets you convert a Component (YPbPr) video signal to be output as VGA along with two channel stereo audio. 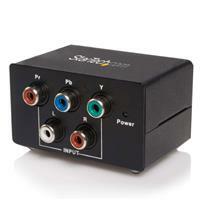 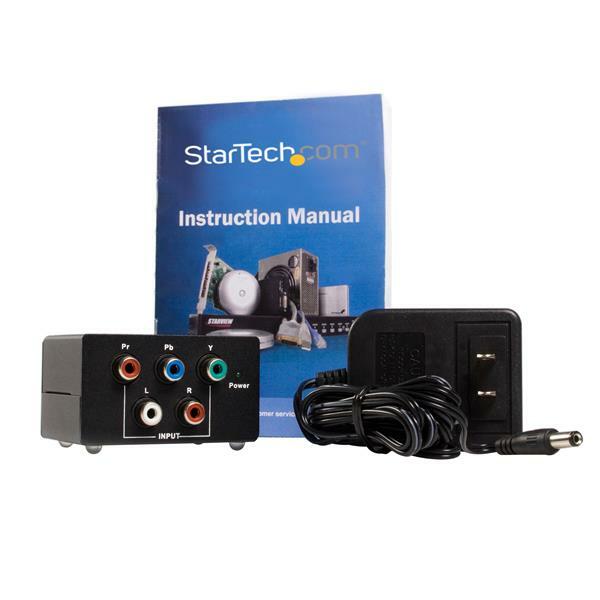 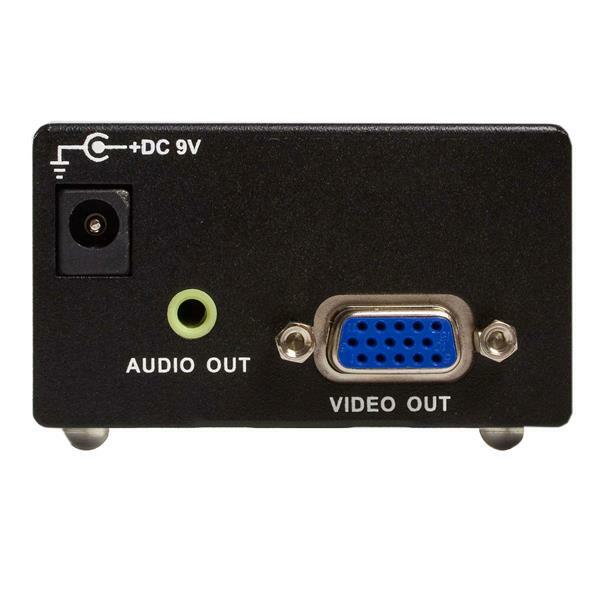 The component to VGA converter offers high quality video and audio performance offering support for resolutions from 480i to 1080p, and features a compact, easy to install design that makes it an ideal solution for running standard or high definition component devices to VGA projectors, monitors or televisions. 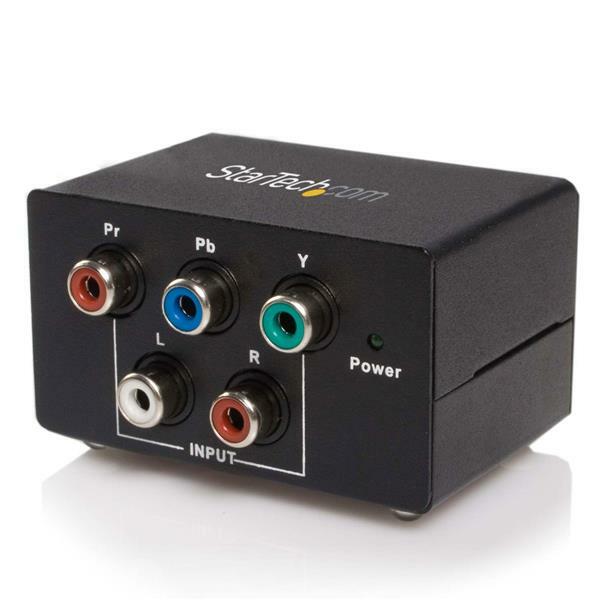 A complete multimedia solution, the Component to VGA Video converter also converts RCA audio for output through a 3.5mm port.